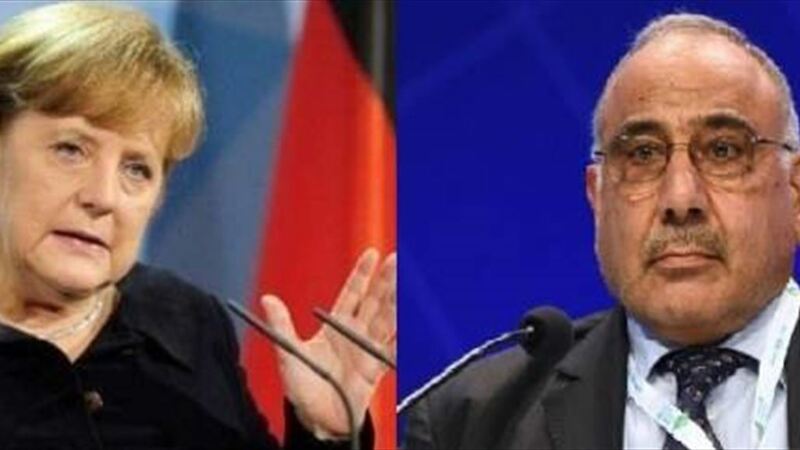 German Chancellor Angela Merkel on Wednesday sent an official invitation to Prime Minister Adel Abdul Mahdi to visit Germany, while stressing her country's support for Iraq at all levels, especially in the economic and military fields. "The Prime Minister received today a phone call from German Chancellor Angela Merkel, and during the contacts discussed the strengthening of future cooperation between the two countries and the situation in the region," said the media office of Abdul-Mahdi in a statement received by Alsumaria News, An invitation to Abdul Mahdi to visit Germany. " Merkel stressed Germany's support for Iraq at all levels, especially in the economic and military fields, as well as the energy sector and the contribution of efficient German companies such as Siemens and others in solving the problem of electricity in Iraq and other needs and projects. For his part, praised the Prime Minister "the role of Germany in understanding the position of Iraq on the issue of sanctions imposed on Iran."